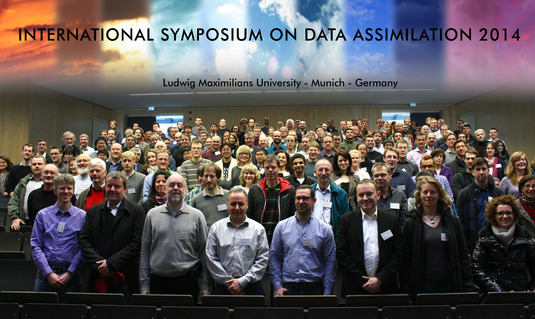 The next International Symposium on Data Assimilation will be held at the Ludwig-Maximilians-Universität in Munich. The symposium continues a series of well received events, including the German Symposium on Data Assimilation 2011 and the International Symposium on Data Assimilation 2012 at DWD in Offenbach. As in previous years, the symposium will include invited oral presentations by selected international experts, two extended poster sessions and extended periods for discussion. The symposium will becombined with a workshop on Cost Action ES1206 (GNSS Network) and a mini-workshop on KENDA/EPS.